As industry safety professionals, we understand health and safety like no others who have not seen what we have seen and felt what we have felt when lives are destroyed as a result of accidents. Founded by firefighters, that’s been built around a core of active/retired firefighters, Safety Compliance Services has been helping companies across the world to build safety cultures and support them in keeping their employees safe since 1993. 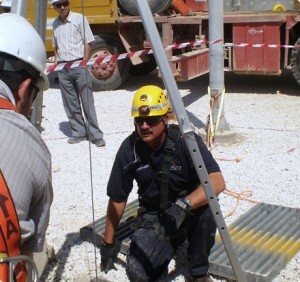 Whether you need compliance training, safety or rescue technical training, culture building or leadership training, safety or emergency preparedness and response consulting services, assistance in overseeing the safety and health of contractors’ at large projects, or standby rescue service for confined space work, we have the capability, experience, and passion to help you reach your safety goals.